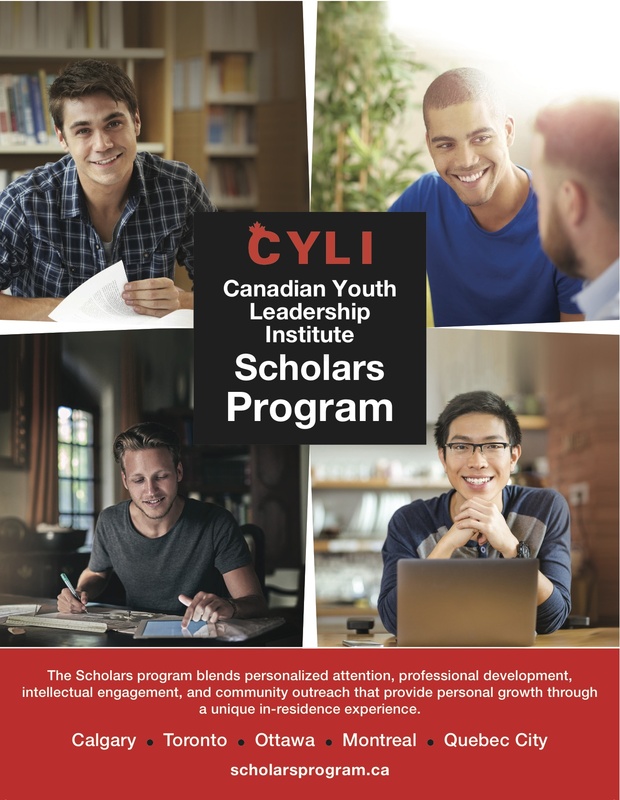 One of the initiatives promoted by CYLI / ICLJ throughout Canada is the Scholars Program, which provides university students with the opportunity to develop strong leadership skills through a unique in-residence experience. The Scholars Program enables undergraduate students to make the most of their university experience. It helps them develop effective study and work habits, challenges them to be involved in the broader community, and familiarizes them with the roots of Western civilization and the rich tradition of Christian thought. The Scholars Program blends personalized attention, professional development, intellectual engagement, and community outreach that provide personal growth to all participants through their in-residence experience. Establishing personal and career objectives with a mentor who gives individually tailored advice. Each Scholar is partnered with a mentor who shares experience and advice. One-on-one mentoring is the keystone of the program, as it ensures that Scholars develop the skills they need to achieve their potential. Gaining skills to succeed as a student and as a professional. The Student Success Series is a set of workshops on practical topics that give you helpful tools for success. Professionals and upper year students share in these discussions the methods they practiced to achieve a high level of proficiency. Broadening horizons and learning from industry leaders and experts on various topics relevant to today’s society. Evenings of conversation also help Scholars engage in thought-provoking discourse with their peers and guests. Seminars and lectures exploring social justice and other topics of cultural, social, artistic and professional importance are also offered to help Scholars develop a clear understanding of key issues for a leader of today. Serving the broader community by participating in service projects during the school year or the summer. Scholars develop leadership skills through active participation in service activities in their local community, throughout the country and internationally.